Where do you go when you're looking for forklifts for sale? Where do you go when you have a forklift for sale? Not too many years ago, the answer to both questions would have been to the classifieds section of the newspaper. Today, whether you're a buyer or a seller, you look online. The advertiser who has forklifts for sale may be a private party who lists his forklift alongside hundreds of others on an online classified site. He will include photographs of his forklift, along with a glowing testimonial about its service record and reliability. Since he is competing with dozens of other private parties, he will probably offer his forklift for sale at a very reasonable price. Buyers looking for forklifts for sale online are usually aware that the claims put forward by sellers are often exaggerated, but the photographs and low prices can be persuasive. If the seller lives nearby and you can take a short drive and see the forklift for yourself, it might be worth looking into. But what if the seller is a hundred miles away? That's a long trip and a lot of time wasted if the forklift turns out to be a lemon. The other way to look for forklifts for sale online is to go to the website of a used materials handling dealer. The advantage of a dealer is that he will often offer a warranty for his used forklifts and other materials handling equipment. The disadvantage is that, like used cars, you never really know what you're getting unless you know the dealer has a reputation for quality, service and value. In your home town, you will know this through word of mouth, but how do you determine the credibility of an online dealer with a forklift for sale? The problem with online dealers is that many of them are only online dealers. Online, you can be whoever you choose to be. A nicely presented website can make anyone look like a professional. That's why, before you do anything else, you should look into the background of the online dealer with a forklift for sale. How long has he been in business? Who is he affiliated with? Does he have a history of experience in the materials handling business? If he can answer these questions in the affirmative, you have found someone who probably have forklifts for sale that you can confidently buy. Reconditioned Forklifts is one of these companies. While we are new online, we are part of the Bahrns Materials Handling Equipment family. Bahrns has been in business for over forty years and has a proud reputation for service, value and reliability. 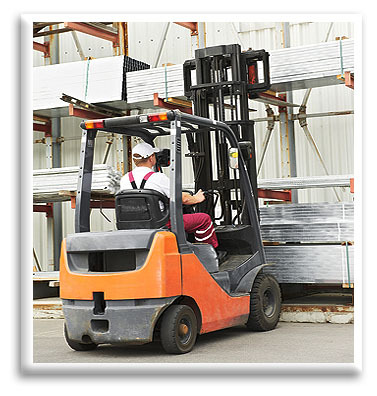 We have a huge stock of used forklifts and reconditioned forklifts for you to choose between. Our customer service representatives are here to serve you, not just sell you a used forklift. If you're looking for a forklift for sale, look no further. Reconditioned Forklifts is not just a website, it is a group of people with years of experience behind them.